Suppose this scene occurs: I'm flying from one part of Asia to another and I meet a stranger on the plane. He tells me that he lives, not in his home country, but in Laos. He runs a bed and breakfast in a quiet river town on the edge of the Mekong. I’m sitting there listening to his story in the cramped economy class of a plane taking me from one concrete metropolis to another. 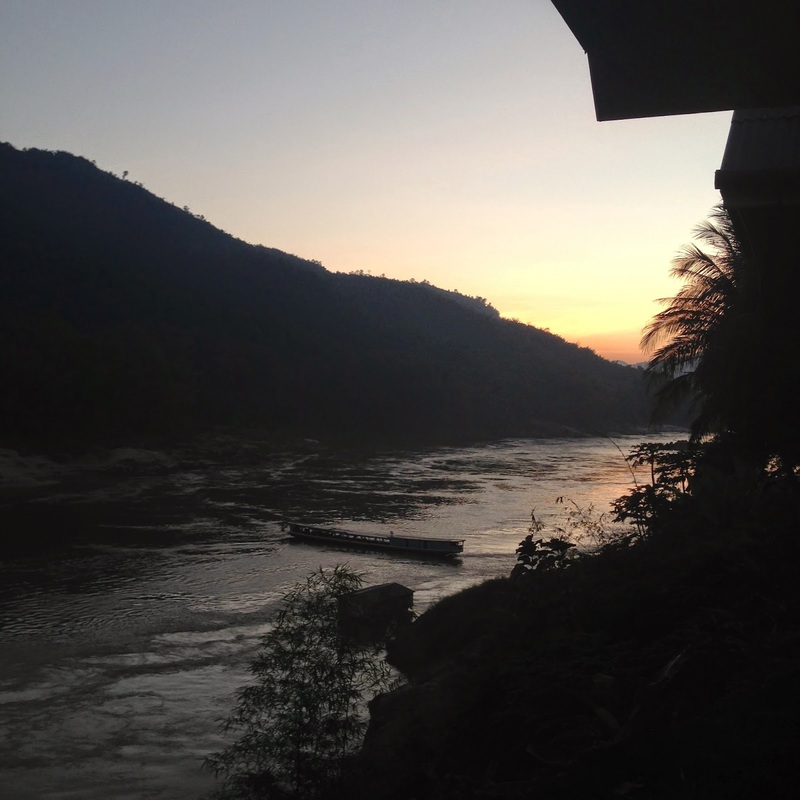 So the idea of watching the sunset on the Mekong sounds mystical, mythical, romantic, exotic, even adventurous. I say I would like to visit him sometime, maybe stay for a week or a month and live the slow life. Watch the sunset every morning, cook my own food, befriend some villagers. But the fact is that I’ve been to that bed and breakfast on the rim of the Mekong, I’ve seen the sunset in that town, and I’ve met that man, though not on an airplane. And I don’t want that life at all. Not even for two days. I couldn’t wait to get out of Pakbeng or Huay Xai, and even Luang Prabang failed at maintaining my interest. So what was once only an idea, image, or story is now a reality. It is an experience, and I have had it. Spending the night in Pakbeng was like living the fantasy, only I swiftly realized it was not what I wanted. I became disillusioned. But the illusion was not the stranger, nor town, nor river, nor the bed and breakfast. From an airplane, or at my desk at work, or in my living room, that life on the Mekong may say sound like something I would enjoy, but when thrust into it, I found the opposite was true. I had made an inaccurate assessment of myself, not of the situation. Surely the situation may indeed be magical and romantic to the man at the bed and breakfast, or to someone else, but not to me. Only by learning more about myself and by gaining perspective from being in different situations was I able to gauge what is mystical and romantic to me. I thought living in Japan, too, would be a dream come true, and for many foreigners it is. But for me it was better as a dream than as a reality. When I got there and realized I didn’t like it, it was because I had misread myself, not the country. I am a character in my own imagination, and my imaged self is different from my real self. Imagined me loves roughin’ it, wakes up early and goes to bed late, can befriend anyone within seconds. Real me thrives in a city, is shy in groups, would rather spend all day reading, writing, or talking at a coffee shop. Real me loves contained adventures, but not tour groups. Real me avoids risk. It's time to stop imagining and start planning. But plan for real me, not for imaged me.